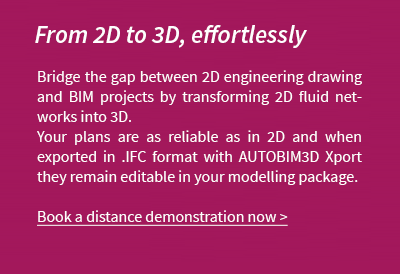 On today's building sites, only real enriched 2D fluids networks plans that were created and thought through in 2D are really fit for building. Plans generated directly from 3D models must be re-worked to include all the necessary detailed information that insure they’re read correctly on site. This extra time spent increases with each modification in the BIM model. 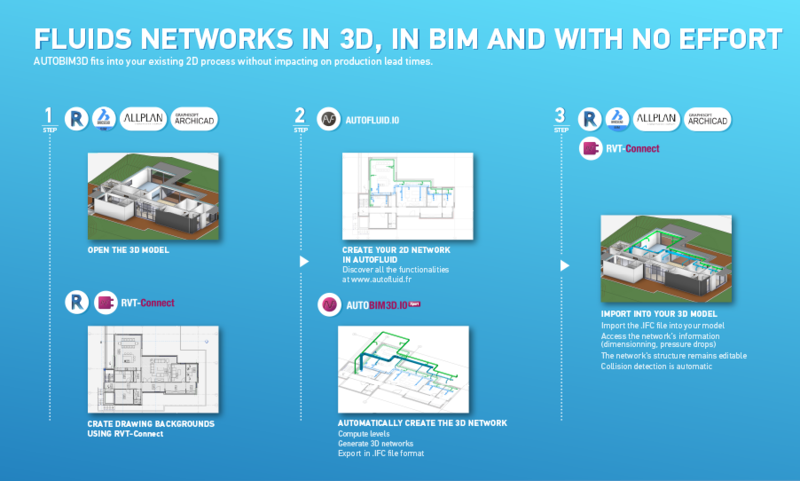 Therefore with AUTOBIM3D we've decided to turn the process on its head : starting with fast and accurate 2D design to then generating 3D network models for BIM projects. 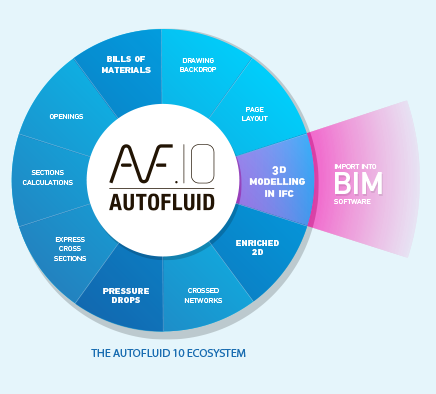 AUTOBIM3D works together with AUTOGAINE for drawing air conditioning networks, with AUTOTUBE for drawing heating and with AUTOSAN for plumbing. 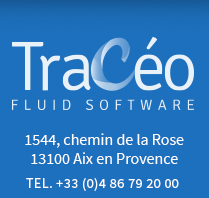 These applications can be combined into one pack to cover the full range of functionalities for fluids networks engineering in 2D and in 3D.